Disclaimer: You are welcome to our website and welcome to use our ideas, pictures, flags etc. Please do not use them in a radical context (or in any kind of radical “pan-slavic” movements). We are not responsible in cases of misuse and abuse of our website material anywhere by anybody. 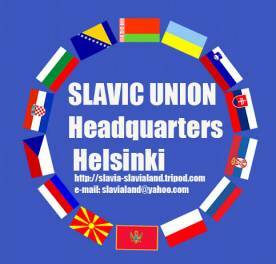 The Slavic Union respects the democratic value of today and refuses to take part in any kind of radicalism.